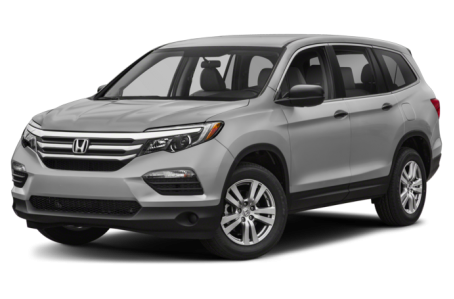 The 2018 Honda Pilot is a midsize SUV that seats seven to eight passengers across three rows. Inside, the Pilot’s second row can be configured with either a pair of captain’s chairs or a bench seat. The bench seat comes with a folding mechanism that operates with one button to give easy access to the third row. Under the hood, the Pilot is powered by a standard 280-hp, 3.5-liter V-6 mated to a six-speed automatic transmission. The Touring and Elite models receive a nine-speed automatic. Front-wheel drive comes standard, while all-wheel drive is optional.